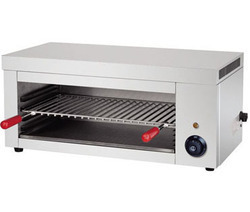 We offer a wide range of very high-quality Sandwiches Griller to our customer. 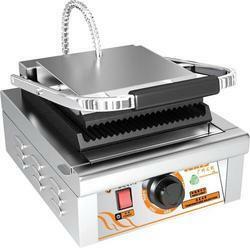 These sandwich grillers contain heavy duty MS griddle plate with nylon adjustable bullet. These are manufactured using very fine grade steel that is sourced from very reliable vendors. These grilles have wooden or stainless steel handle with gear system for smooth pressing and grilling.These products under various quality test each level of its production to ensure superior quality and flawless performances. Wooden or SS handle with gear system for smooth pressing and grilling. EGO' german made Thermostat temperature control system with ISI or anchor wiring attachments. Heavy duty indication lamps with rotary on/off Switch,3 KW, I Phase Power Consumption. 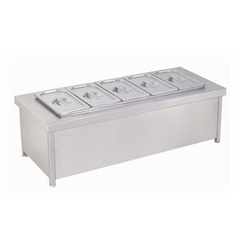 We are the leading and prominent Manufacturer, Supplier and Exporter of Table Top Bain Marie. Looking for Bain Marie Counter ?